You will be producing intelligence assessments for formal production and release to the Intelligence Community (IC) and other consumers Coordinates with other NGIC offices, IC organizations and theater intelligence resources to gather additional information and share analytic conclusions. 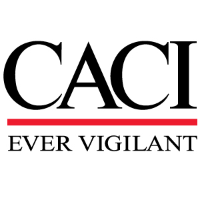 Develops regional network assessments of IED and insurgent networks. Produces targeting support products for deployed forces. Prepares and present intelligence briefings and presentations. Evaluates information reporting and sources. Answers Requests for Information (RFI) Develop Source Directed Requirements (SDR). Populates and maintain databases, production trackers and files. We are seeking government trained intelligence analysts with a minimum of 7 years of intelligence analysis and targeting experience, and a four-year degree. 12 years of total intelligence analysis and targeting experience can substitute for a degree. - Knowledgeable of the Intelligence Cycle, Collection Management Cycle, Targeting Cycle and intelligence analytic techniques including trend and pattern analysis, geospatial analysis, link analysis and network or social network analysis. The Contractor shall be experienced with data processing systems such as DCGS-A, CIDNE, and SIPRNET and JWICS search engines. - Working knowledge of i2 Analyst Notebook, AXIS Pro, WebTAS, ArcGIS, and Google Earth. - Be proficient at using basic computer applications and intelligence related automation to support analytical efforts and product development; possess strong research, writing and editing skills; and be capable of managing teams of analysts in support of tactical, strategic and special operations forces conducting counter insurgent/IED targeting. - Understand intelligence requirements for both lethal and non-lethal targeting. - MOS 31D, 311D, 35F, 350F, 35D, 18F, 180A, or DoD joint service equivalent, or civilian 0132, 1811.